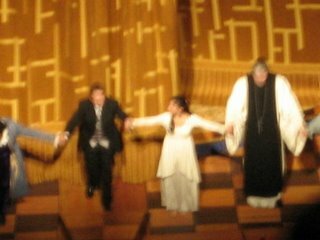 Roméo et Juliette was gorgeous. 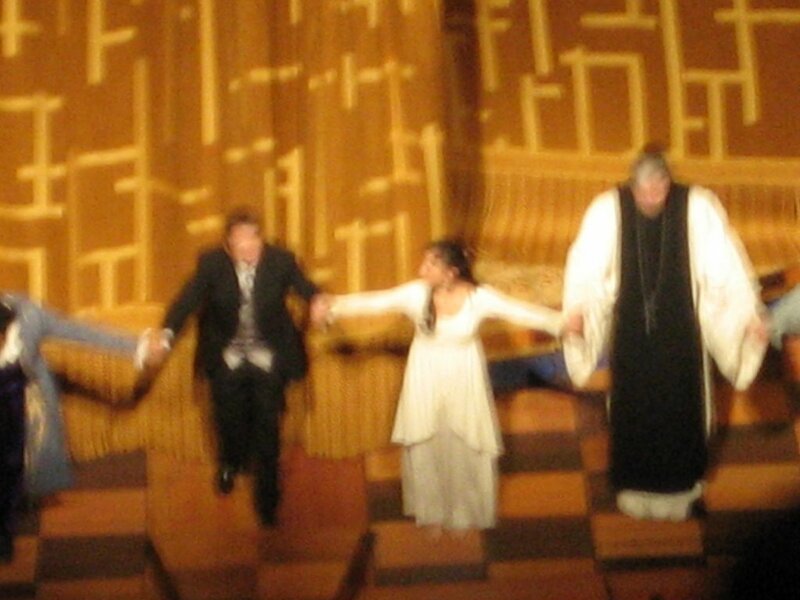 Natalie Dessay as Juliette was astonishing. Her voice is crystal clear and her coloratura is pristine. She acted the role beautifully as well. You see her grow from a blossoming girl to a sensuous woman as she discovers love and succumbs to reality. 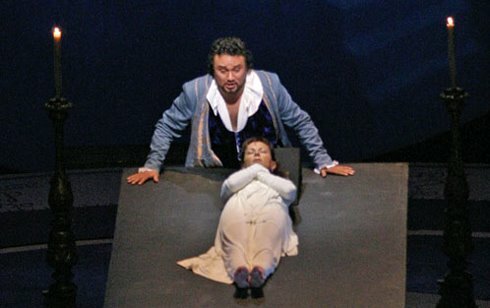 Ramon Vargas was commanding as Romeo. Both brought tenderness and humor. 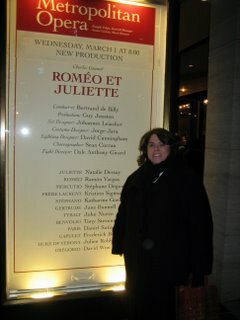 He made Dessay's Juliette fall for him...as did I. I was thrilled through every aria. 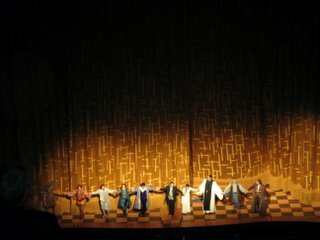 The audience did not hold their appreciation back. 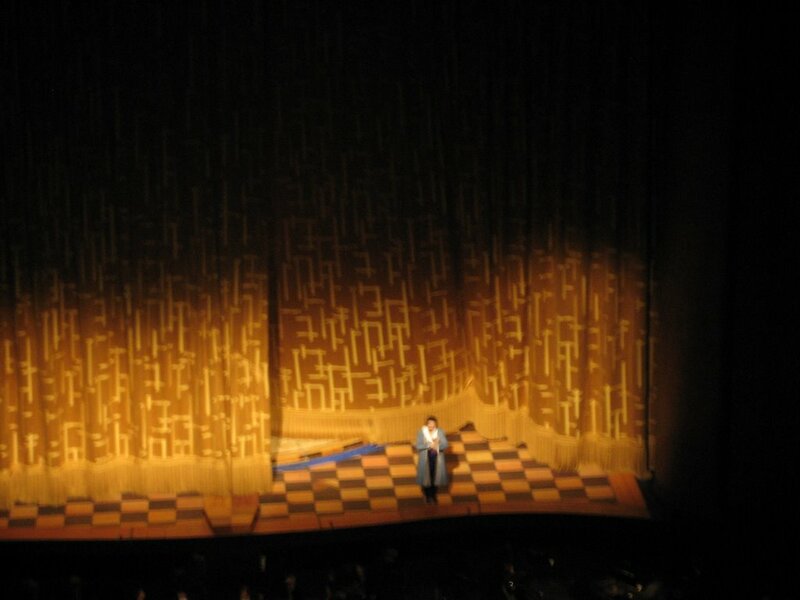 Although minimalistic, the set played just as large a part as the singers. 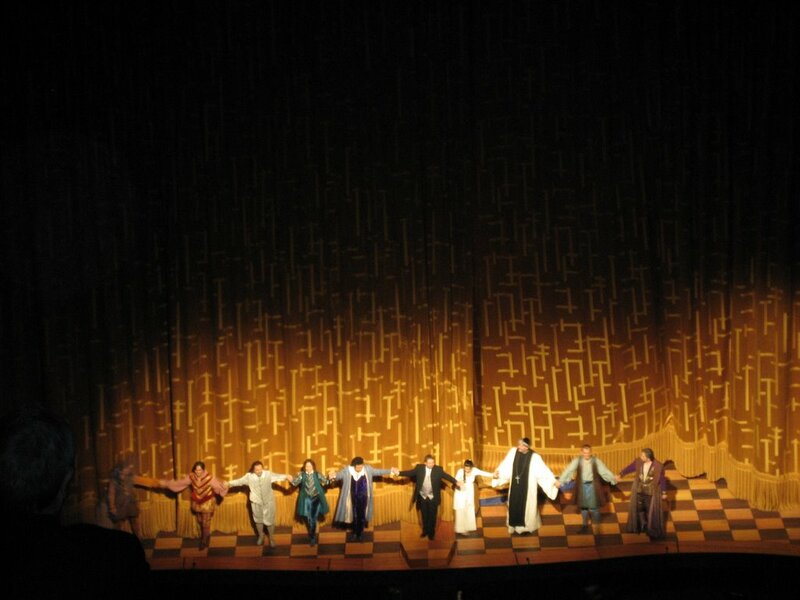 It drew from the immagery and the libretto of the star crossed lovers. At the back of the set, there was a large circle that was a sun dial and through it the background would change to reflect the time of day - images of the night sky were projected behind it. The floor was a large platform that rotated and was decorated with celestial beings. The most breathtaking scene was Juliette and Romeo laying in her "floating" bed. The production was bliss and heartbreaking.